Avengers: Endgame. Is this it? Another thing that I love about Super Bowl Sunday is the amount of movie trailers and teasers that get aired during the ad breaks and half time show. It’s like a geeky gold mine and this year was no exception. 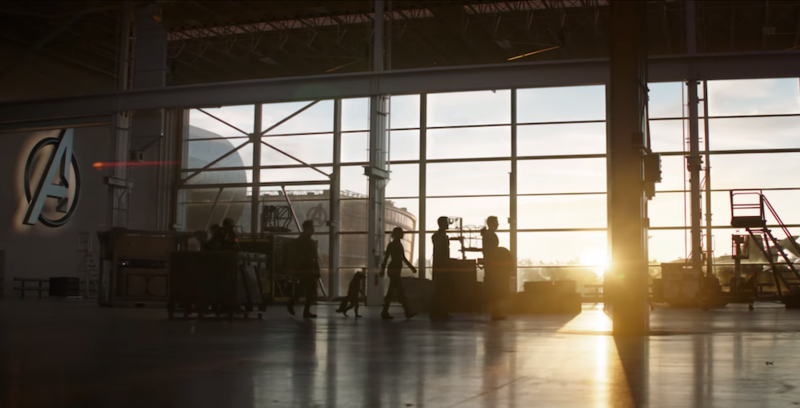 Showcasing a 30 second tease for both Captain Marvel & Avengers Endgame. This line echos chills down your spine as Steve “Captain America” Rogers drops a sentimental statement regarding the lost comrades. The 30 second TV spot adds to the 2 and a half minutes of footage that we have already seen, showing the remains of the team on Earth and what can only be described as their ways of coping with the aftermath of the “Snap”. New York looks abandoned and empty as we pan across several scenic night shots. Cap is in some kind of self help group meeting that suggests the “Snap” was a long time ago and people are struggling to come to terms with their loss and the rest of the featured members look broken and affected in certain ways. We also see a lot of walking in this spot trailer, which might seem trivial but asks the questions, what are they walking to, what is the purpose? Especially the team lineup at Avengers HQ. Assembled one last time, One final mission. Thor and Rocket seem to go on yet another little field trip, with what looks like Thanos’ farm being their final destination which poses the question – Have they found him? Why have they gone alone? If this is right it shows great character development for Rocket who spent Infinity War actively avoiding Thanos at all costs and for him to now be going head on into the Mad Titan’s home suggests to me that losing Groot has affected him in a really bad way. Grief can take many forms and affect people in different ways; Steve talking and dealing with things in group therapy, Thor and Rocket going off to seek something, be it Answers or Revenge, while Black Widow has seemed to have used training to keep focused as we see her unload an ammo clip into a paper target while wearing what I would assume to be a sports vest which adds to my thinking of her throwing herself into training and staying on edge ready for whatever’s to come. Finally there is also a glimpse of Tony and Nebula repairing something in the spacecraft. Which if tied into the first trailer could be seen as one final push to survive, or could the start of a failed attempt that leaves Tony lacking food and oxygen as he calls Pepper. With Time being such a big element to this movie there is no way to know or fully understand the timeline of footage until we see the final product. That being said the MCU is becoming known for their deceptive trailers. All those shots we saw in the Infinity War trailer that never appeared in the final film for example. Could this be the same thing? Are we watching duff footage, is this a plot to pull the wool over our eyes and avoid major spoilers? I am so excited for the next few months and what the MCU is bringing out; Captain Marvel, Spider-Man: Far From Home and The Avengers Endgame. This one will be a biggy. It could be time to sadly say goodbye to some much-loved characters who have graced our screen for over ten years. The franchise is huge and has such a big cultural standing in today’s modern age. I am sure whatever they do, however they deal with it – it will be done with the utmost respect and care. As a studio they understand and appreciate the fans, they won’t look to do the fans out of a result. What do you think to the latest spot? What do you think will happen and how will you react to it? I expect tears. If by some miracle you haven’t seen the trailer here it is.